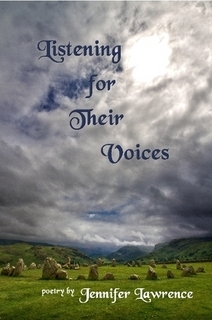 I was blessed to receive a copy of Listening For Their Voices from Jennifer herself, a prize gift for my poetry in EHS. Looking at the purchase info on lulu.com, it’s a bit pricier than you’d expect for a book of poems and I’m not sure I would have picked it up on my own, but I’m glad it found its way under my nose. Keep in mind, this is a big collection, over 200 pages. Its scope is epic, encompassing the mythos of three major pantheons (plus a little extra). It’s also more than just poetry for its own sake: for those seeking to learn more about the gods (for devotional or creative purposes) Listening For Their Voices is invaluable for its insightful and conscientious interpretations of sacred myths. One can easily justify the retail cost as an educational investment. has fallen to rash words and pride. splintered and drove me into silence. There are also animate differences between one character and the next. From Idunn’s stoic melancholy and Fuamnach’s patient vitriol to Persephone’s budding defiance, each narration is delightfully distinct. There is variety in Lawrence’s style, as well. Some selections are classical, rhymed, formal; others are bawdy, acerbic, even modern. “Those seeds / That poppy-heart sweetness, / That reddest of reds /… No accidental swallow there—Baby, she gulped them down.” Gods-in-everyday settings is one of my favorite genres (think Neil Gaiman); Lawrence delivers some of that, too, as well as reflections on what it is to know and honor the Gods as a modern-day pagan. The strongest critique I have of Listening is that it delves a bit too much in this direction — that is, in personal meditation and the intimate relationships between the author and the Divines. While this is interesting and relevant to a point, I found that Lawrence’s greatest strength as a poet and storyteller lie in her ability to give life and voice to the not-her stories; the myths — the love and grief and pathos of the gods, the stories archetypal and universal and therefore infinitely more relatable. A couple of other quibbles: not every myth portrayed is instantly recognizable, particularly if you aren’t already well-versed in the respective mythos (my Norse is especially weak). The book could use some footnotes, an index, something to make it more navigable (and thus a better teaching tool to those seeking to learn). Also, some deities are favored more heavily than others. As a practitioner, I get it; I have my special relationships, too. But as a reader, I’m digging the breadth and diversity of this collection, and wish I’d seen more. Nine poems on the Kore myth, for example, feels like a bit much, especially considering how many fascinating tales are still out there to be told. That said, there are some good poems in here. There are also some okay ones and some stellar ones. With any poetry collection, there will be some selections that sing for the reader more than others, but overall Listening For Their Voices strikes me as a worthy acquisition for any fan of myth-based (or mythpunk) and/or devotional pagan poetry. Lawrence has a notable gift with words and clear literary muscle, as evidence from this hefty body of work. I definitely recommend this one.